To celebrate the end of another work week, I stopped into the Beer Bistro for a couple of beers before heading home. I saw that they had Ommegang Belgium Pale Ale (BPA) on tap, and considering that I have never had a beer from that brewery before, decided to try this one first. Ommegang is a strange name for a brewery so I had to look it up. It turns out that it is a medieval pageant with more than 1400 performers that takes place at the Grand-Place of Brussels, and in one of the Belgium's most popular attractions. 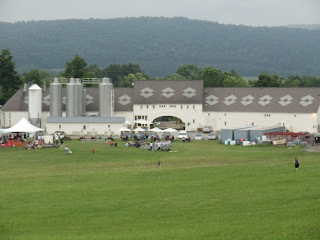 I was surprised to find that Ommegang Brewery is located in Cooperstown, New York, home of baseballs Hall of Fame. In fact on the brewery's website they say "So when you come to visit our hall, you should probably visit that other one too. In the 19th century Cooperstown and the surrounding area was a full of hop farms. 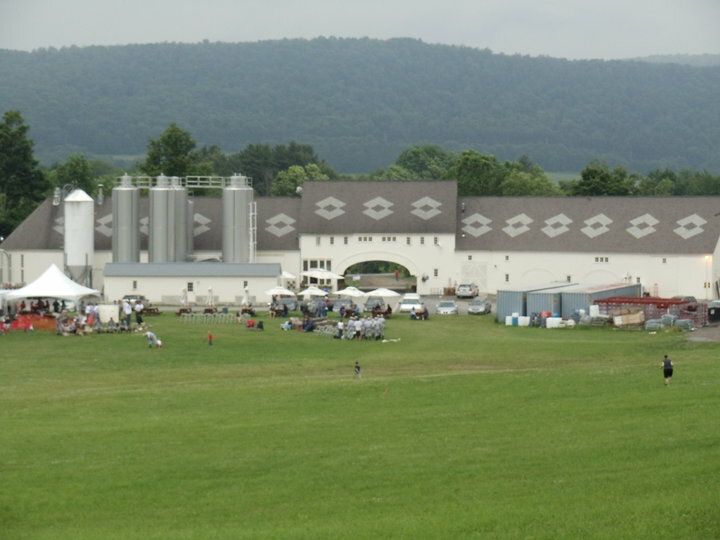 In fact Ommegang, founded by Belgian beer importers Don Feinberg and Wendy Littlefield in 1997, was built on over a hundred acres of land that once was a hop farm. Six years later in 2003, they sold the brewery to Duvel Moortgat Brewery, makers of my favorite Belgium ale Duvel. The beer is still brewed in Cooperstown but when extra production is needed, the recipes are brewed in Belgium. It pours a light coppery colour with a white head. The glass at the Beer Bistro are always rinsed before using and the head stays for a good while. I can sense some spice and some citrus int he aroma. Lacings are left along the inside of the glass as I sip. On my first sip there is a slight spiciness in the start which is quickly overpowered by a grapefruit. Bitter grapefruit. Not an overpowering bitterness just a nice bitter grapefruit. That changes into a general slight bitter citrus finish. This BPA is actually a very light tasting for a beer that weighs in at 6.2% APV which I find surprising. It is a very good beer, one that I would order again. Despite the description of it being "Peppery and lively with a sweet citrusy start and a drying bitter finish" and that it has a higher APV, I would advise that if you plan to have two or three ales, that you start with this, rather than have more hoppier ales first. I would definitely recommend this beer and will be ordering it again. Hopefully one day I'll be having this at the brewery after a day at the Baseball Hall of Fame!